We understand that not every dumpster rental needs a gigantic dumpster. 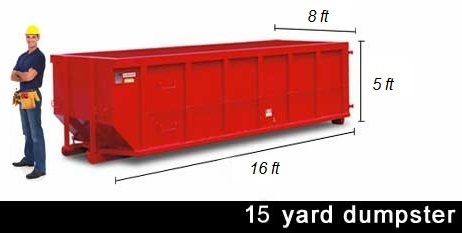 Our 15 yard roll off dumpster rentals is ideal for smaller scale projects. If you need a smaller dumpster, because of a do it yourself project a 15 yard dumpster is perfect for your needs. If you are looking to clean out your garage, or other rooms in your house; look into renting a 15 yard dumpster. How much debris can a 15 yard dumpster hold? A 15 yard dumpster can hold fifteen cubic yards of debris. This is roughly equivalent to five pickup truck loads of material. 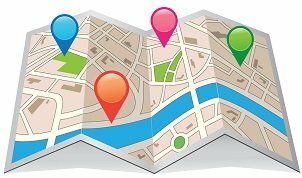 Approximate Size: 8 ft. x 16 ft. x 5 ft. Our prices and timely service still render you a better deal than the alternative Bagster. 15 yard dumpster up to 6000 lbs of debris for medium remodeling job kitchen starting from $300.